Adult Choir meets Wednesdays at 7:05 pm. We love to praise the Lord through a mix of songs, both new and old. 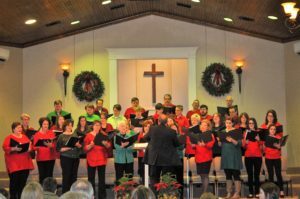 For more information on Adult Choir, please contact the church office at 601-829-1360. “Let everything that has breath, praise the Lord. Praise the Lord!” (Ps 150 NASB). The Youth Choir meets each Sunday at 4 PM. We sing at the quarterly evening worship services and occasionally at Sunday morning worship services. Students currently in Grades 7-12 make up this group. 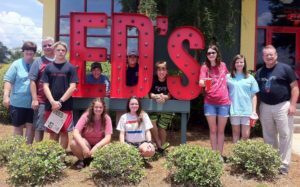 Our youth choir plans to be part of HeartSong 2017, to be held June 27-July 1, at Southwest Mississippi Community College in Summit MS (the picture to the left is from HeartSong 2016). Our Youth Choir enthusiastically welcomes any new teenagers that enjoy singing. Come join us! Children’s Choirs meet each Wednesday night during Kids ROCK, which starts at 5:25 each Wednesday night (see our Kids ROCK page!). We have FUN!! 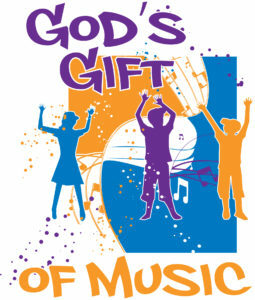 We have 2 choir groups: Music Makers (Grades 1-3), and Young Musicians (Grades 4-6). Groups occasionally present music together for the church (we had 36 kids singing Christmas music this past Dec. 14). All workers are experienced, love kids, and will provide a safe environment for your child. For more information on children’s music, please contact Marlynn Martin.